Bud Light's "Dilly Dilly" king has found his man-at-arms--and he's named "Bud Knight," of course. 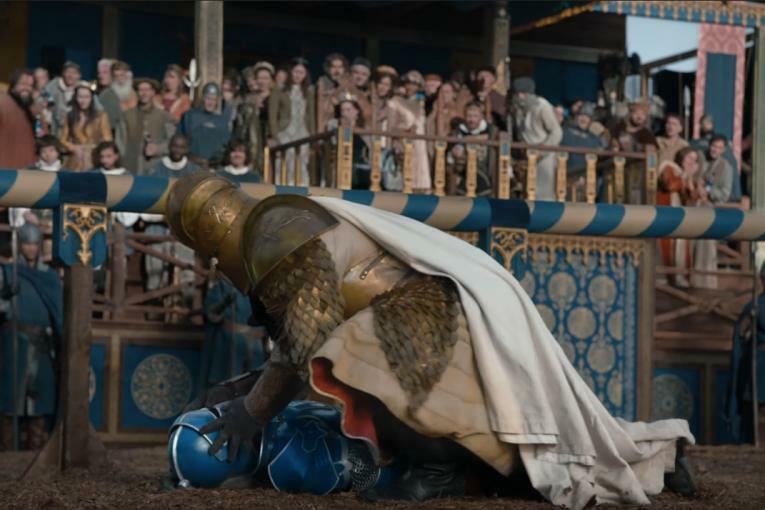 The blue-armoured, horse-riding character makes his debut in the brew's medieval campaign in a 60-second Super Bowl spot the brew released today. 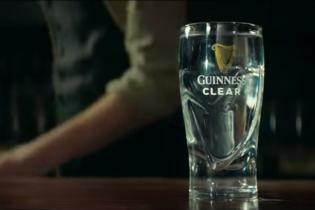 The spot by Wieden & Kennedy New York is the final ad in a trilogy that began on Christmas Day. 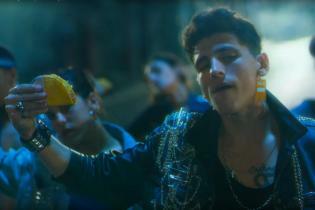 The brand in the game also plans to re-air a 30-second version of the second ad in the series called "Ye Olde Pep Talk" that first ran two weeks ago in order to set up the final battlefield scene. The new ad shows Bud Knight coming to the aid of king and his beleaguered troops, after making a pit stop at a convenience store to stock up on the brew. 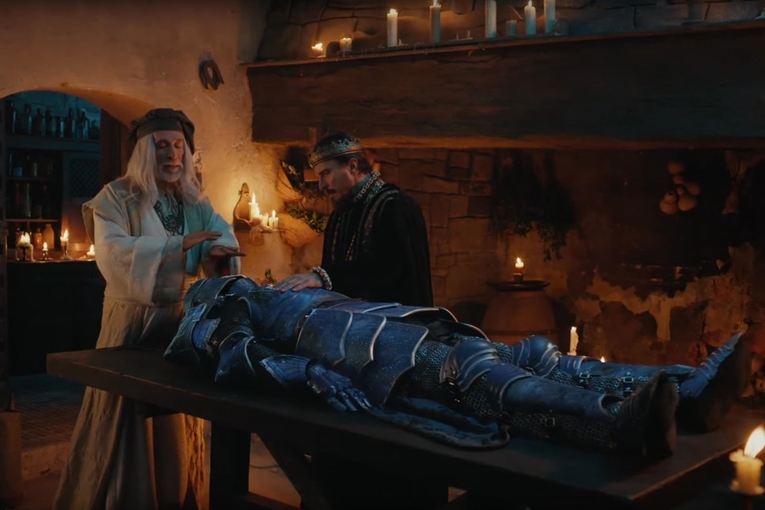 While the spot marks the end of the three-part series, it's likely we haven't seen the last of the knight as Bud Light marketers try to keep the momentum going on the viral campaign, which launched in late August. "We'll continue with the storylines. There are a lot of areas to continue to explore in this whole medieval world," says Bud Light brand VP Andy Goeler. Only a jester would stop now. 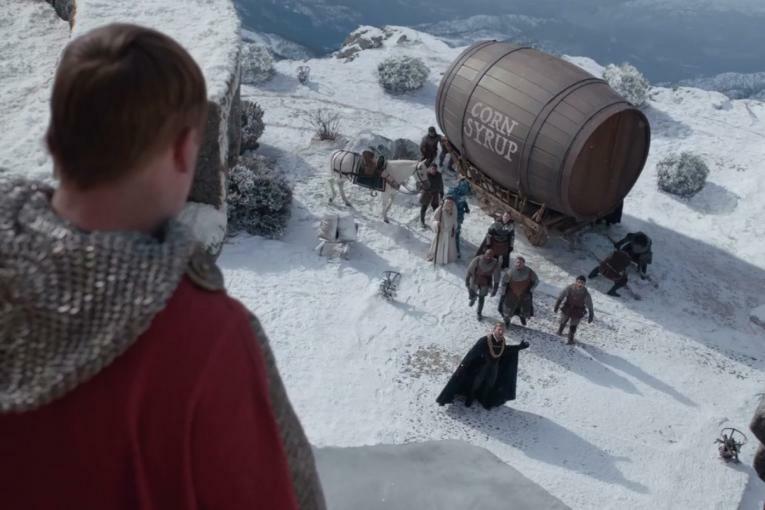 The campaign is netting roughly 1.1 million Googlesearches of "Dilly Dilly" per month, according to the brand. And on social media, Bud Light has earned more mentions in the past four months than in the previous nine months. But those positive vibes have yet to goose sales in any significant way. Bud Light shipment volume volume fell 5.7 percent last year, according to Beer Marketer's Insights. "Step one has to be exactly what we are doing, getting the brand back into conversation in a fun way, connecting it to friendship ...that's my whole focus," Goeler says. "If I'm able to do that for an extended period of time â€¦sales will follow." 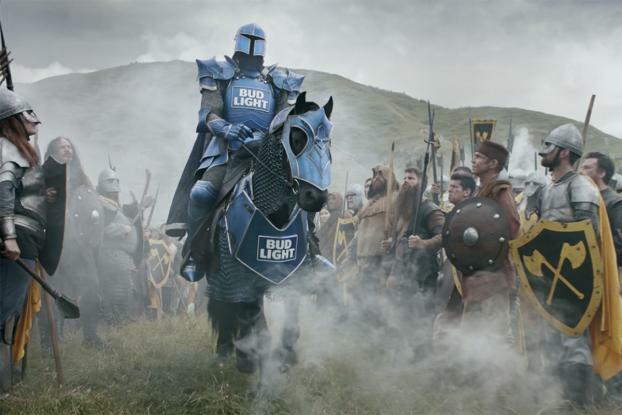 The knight gives Bud Light a new character to push on social media. On game day the brand plans to run quick social videos showing him suiting up, for instance. Starting today, the hashflag #DillyDilly will produce an image of the Bud Knight's blue helmet. The brand also produced a Snapchat game called "Battle of Beer Run."